Shropshire Chamber of Commerce supports businesses in the local community. Part of the support they provide involves helping them to reduce their energy costs. Despite this work, they had long overlooked their own building and associated heating and energy costs. Through their partnership with the European Regional Development Funded Business Energy Efficiency Programme, they set the wheels in motion to find out what support they could receive. This led to them receiving a fully funded assessment of their building, which highlighted a whole host of areas where they could reduce their carbon footprint, and financial savings could be made. 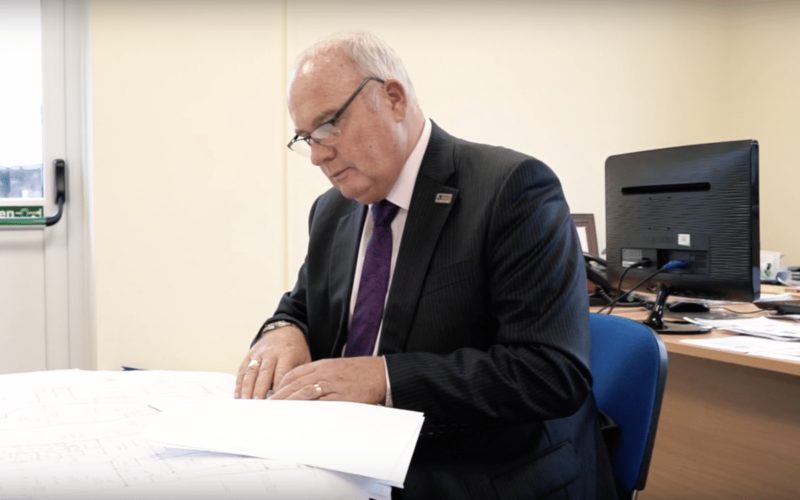 During the process, Liz – an energy efficiency advisor working for BEEP – met Richard, the chief executive of Shropshire Chamber of Commerce, to discuss the energy usage on the site. Richard was surprised with the energy savings that could be made. Leading to them investing in new windows and doors, LED lighting and thermostatic valves for radiators. This has resulted in a 40% reduction to their energy bills. With Richard recommending and encouraging other businesses to use the Business Energy Efficiency Programme.